The Eryri 50/Snowdonia 50 is a 58 mile footrace that encirlces Wales highest peak. 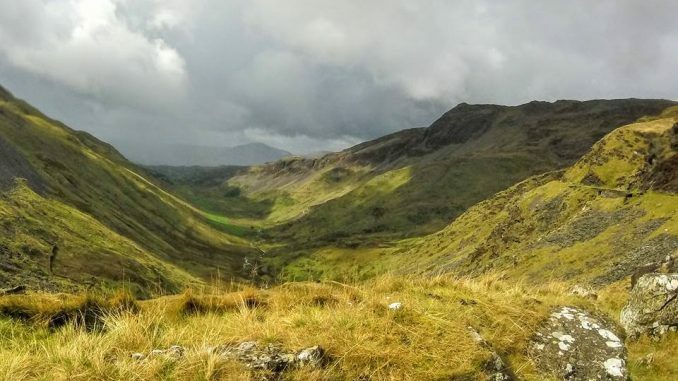 The route begins and ends in Betws y Coed using the trails and paths of Snowdonia National Park. Competitors have 12 hours to reach Llanberis – approximately halfway, and 24 hours to complete the whole loop. The runners are expected to be self-sufficient between checkpoints and with over 8,000 ft of elevation to climb, its a real challenge. Elton Angle-Smith led from the early stages with Owain Williams close behind in second place but by CP4, Williams assumed the lead and Connaire Cann moved into second place. By CP6, Lenny Hiughes was in second place and he maintained that position until the finish. Zane Jaunbelzēja set the pace for the women for the first couple of hours but unfortunately pulled out at CP3. Alison Mawson moved into the lead by CP4 but Leri Roberts running well assumed the lead by Llanberis and finished in 10th place overall. Joni Parry took third place in 15:42:32.